First off we've got the biggest new release, their Ultimate Base Set. 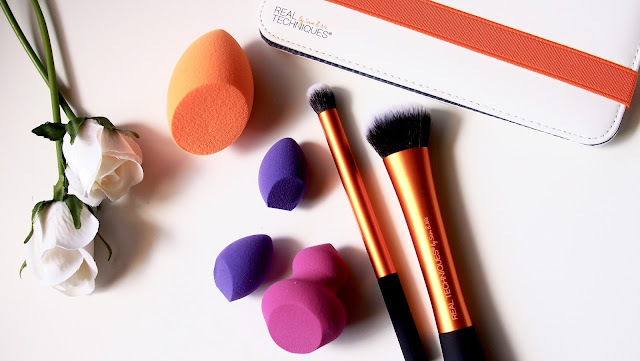 This set contains three tools, the Expert Face Brush, Miracle Complexion Sponge and Deluxe Concealer Brush, in a compact case. 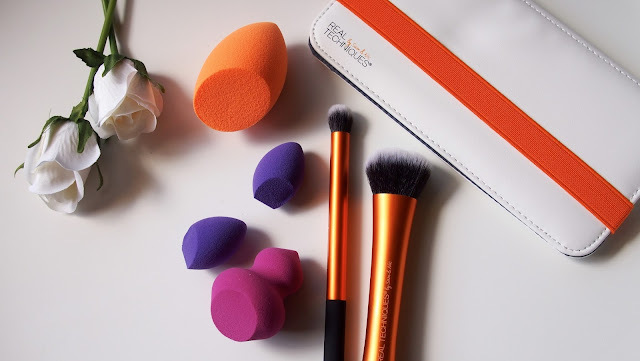 Their Expert Face Brush is an old favourite that I've been using for years, being a dense buffing brush that works base products into the face so nicely. It works well with cream or liquid products and, being that it's currently available individually, adding it to this kit was a great idea! In the past I've tried sponges, including the Miracle Complexion Sponge, and been really disappointed by them but something has changed and now I can't enough of this sponge. 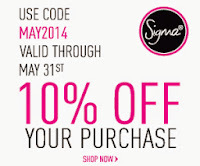 My base takes a little bit longer to apply when I use it, sure, but the finish it gives makes it so worth it! Lastly, the Deluxe Concealer Brush seems reminiscent of their Deluxe Crease Brush which is fine by me because I loved using it to blend in concealer. It's a really lovely dense brush that blends out concealer effortlessly. 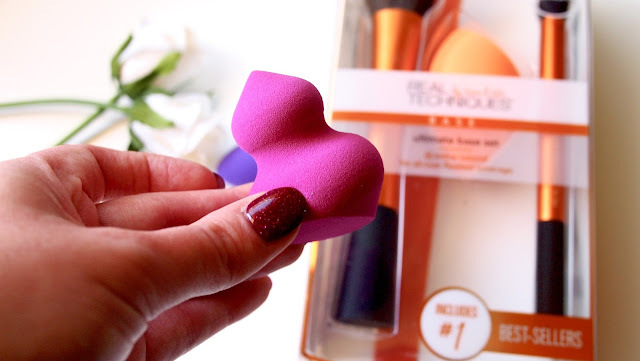 This funny looking thing is the Miracle Sculpting Sponge and it's designed with six surfaces to create the perfect highlight and contour. 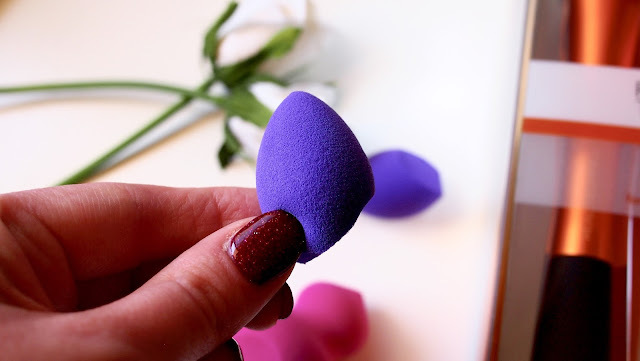 Whilst I really like the idea behind this sponge, I think I much prefer using brushes to complete these steps in my make up routine, but that might be because I work with powders. 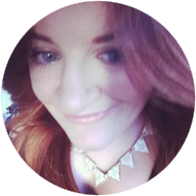 In saying that, I've used it to blend cream blush in a few times and that worked a treat! 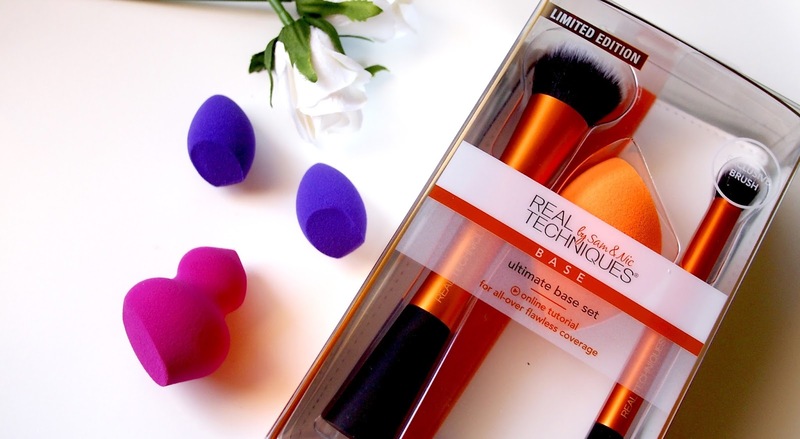 A Miracle Sculpting Sponge retails for $16.99 but get in quick because this bad boy is Limited Edition! Lastly we've got the baby of the collection, the Miracle Eraser Sponge. 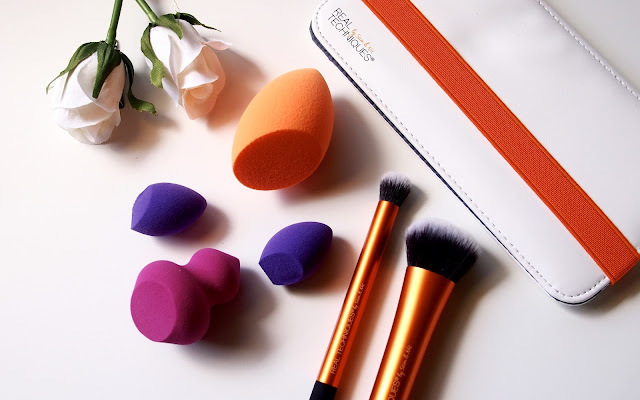 These tiny sponges come in packs of two and are designed to literally clean up any make up error, whether that be flaky mascara, eyeliner fails or eyeshadow fall out. Again I think they're good but not 100% necessary, however they make a great tool for blending out concealer! I am so impressed with all of these new bits from Real Techniques but, as you can probably tell, my favourite offering is definitely the Ultimate Base Set. 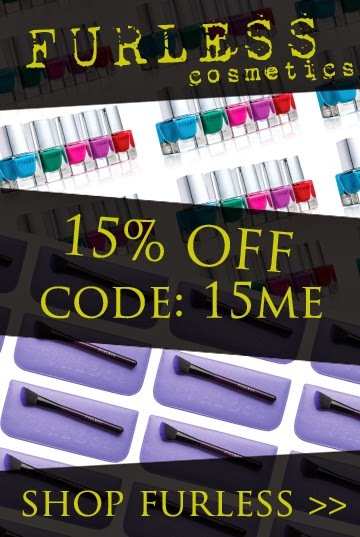 I think they'll make great stocking stuffers for the beauty lovers in your life. I agree I found the new sponges good but not a must-have whereas the brush set is AWESOME!